Daring and unforgettable, thought-provoking and creative, Aarhus 2017 has revealed a selection of highlights from its European Capital of Culture programme. Under the headline theme ‘Rethink’, a kick-off event detailed some of the iconic performances and works of art planned for Aarhus 2017, exactly a year ahead of its official opening. Also, during the same year, the city of Aarhus will be celebrating its year as holder of the European Region of Gastronomy Award representing the Central Denmark Region as the same time as East Lombardy Region (Italy) and Riga-Gauja Region (Latvia). 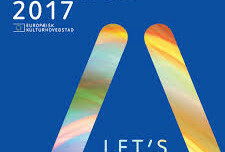 With a programme of events for people of all ages and from all walks of life, Denmark’s second biggest city is sure to live up to the European Capital of Culture initiative’s reputation for excellence.